The use of mobile communication devices has grown phenomenally throughout the world during the last few years. With strong consumer demand to increase data delivery (large emails, browsing the Internet on wireless devices, transferring video images, etc. 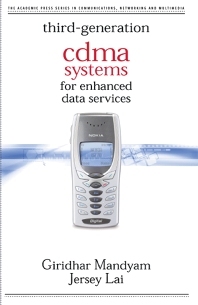 ), engineers are faced with the challenge of enhancing CDMA to provide larger data capabilities while improving voice signals for clearer reception. In November 2001 the U.S. Federal Communications Commission released a much broader band of frequencies to wireless service providers, which will speed up the development of these systems. Electrical engineers working in communications, wireless, and microwaves. Also sales engineers and managers in the wireless telecommunications industry. Nokia Research Center, Dallas, Texas, U.S.A.